Let's meet! Tell us about you, your company, your specific requirements and our professionals will do the rest. We'll get ideas We will have a team brainstorm session and together we will come up with a range of potential solutions for your company. And we'll do the heavy lifting We will then develop, construct and bring your project to life. Deliver the goods We will deliver your solution and always aim to exceed your expectations. It doesn't just stop there… We continue our business relationships as ongoing support and service is key to us. We can show you how your current website performs against your current competitors and how to get ahead of the trends. SEO stands for "search engine optimization". It is the process of getting better traffic from the "free", "organic", "editorial" or "natural" search results on search engines. 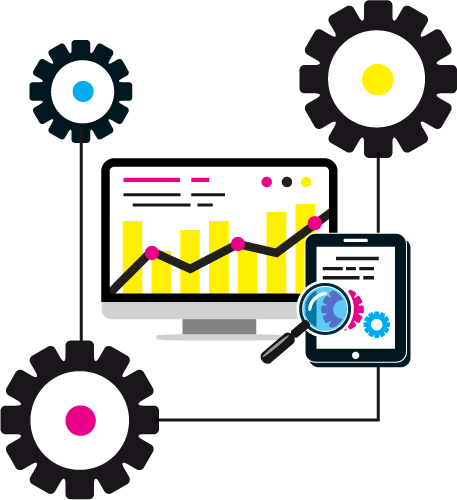 We can make a comprehensive SEO scan of your website, providing you with guidance and advice. You request has been sent! We will be in touch soon. Your request could not be sent. Try again later.